Royal Crest Estates in Fall River, Massachusetts offers residents sophisticated, luxurious and convenient apartment living. Our community features a variety of studio, one and two bedroom floorplans, each equipped with the finest finishes and amenities. We invite you to relax at our resort-style swimming pool or take a jog in our new state of the art fitness center in which we offer free exercise classes. In addition, Fall River provides a wealth of recreational opportunities awaiting your discovery. 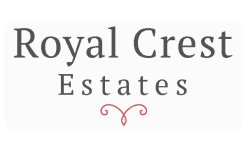 Come make Royal Crest Estates your home.